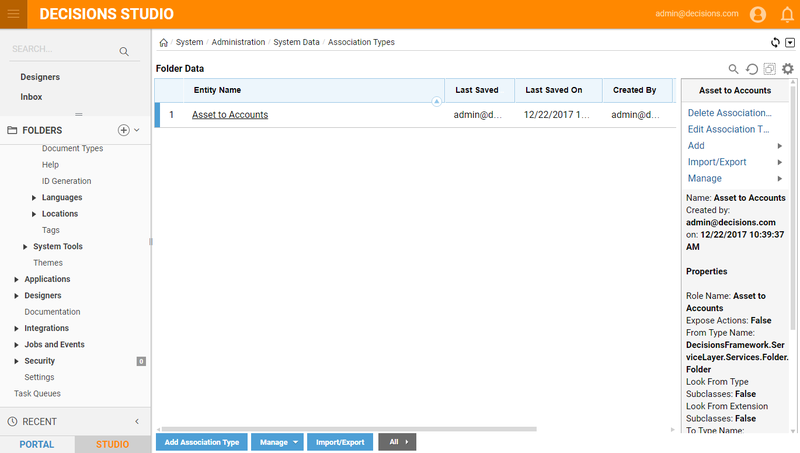 Entity associations are relationships between data types (such as tasks, accounts or assets). 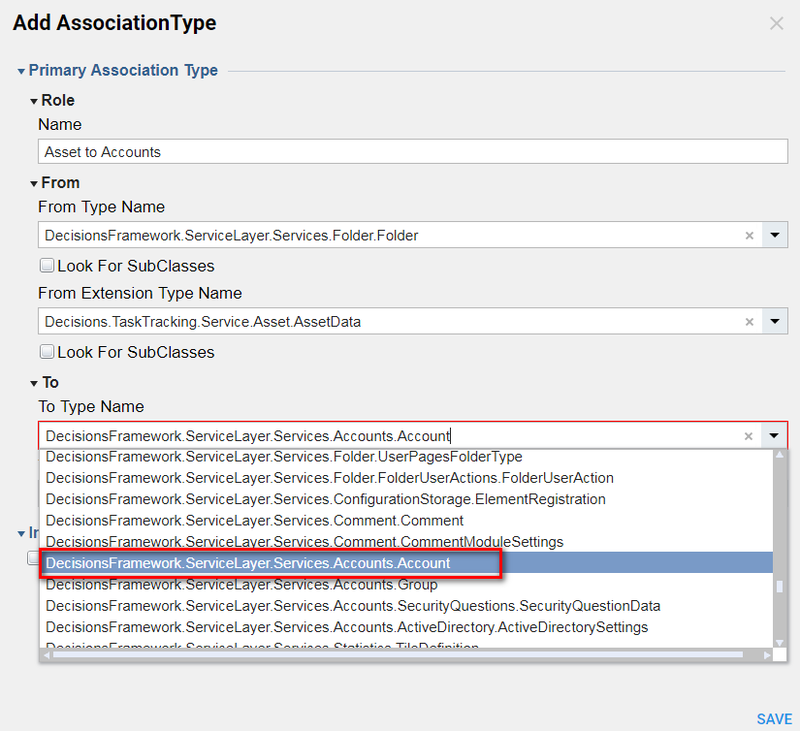 To encourage consistency and re-usability, every entity association must be of an association type. 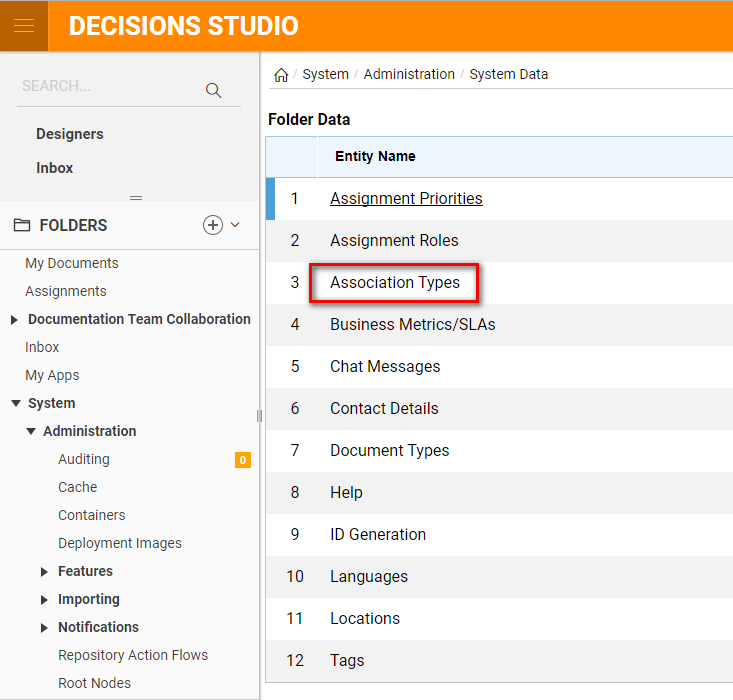 Association types can be found in the folder System > System Data > Association Types	. 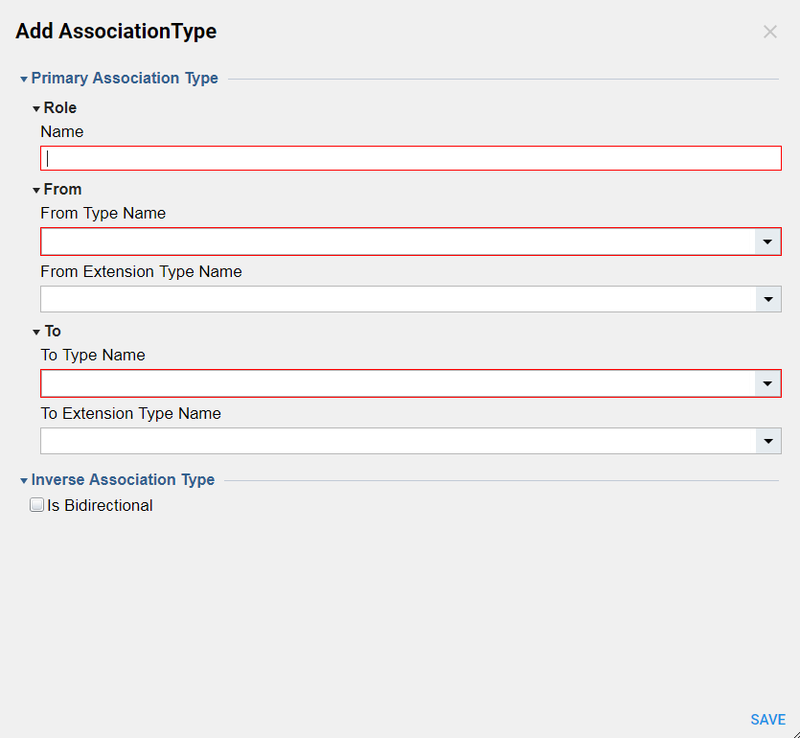 To create a new association type, click the Add Association Type	button and define the data types that form either side of the relationship. 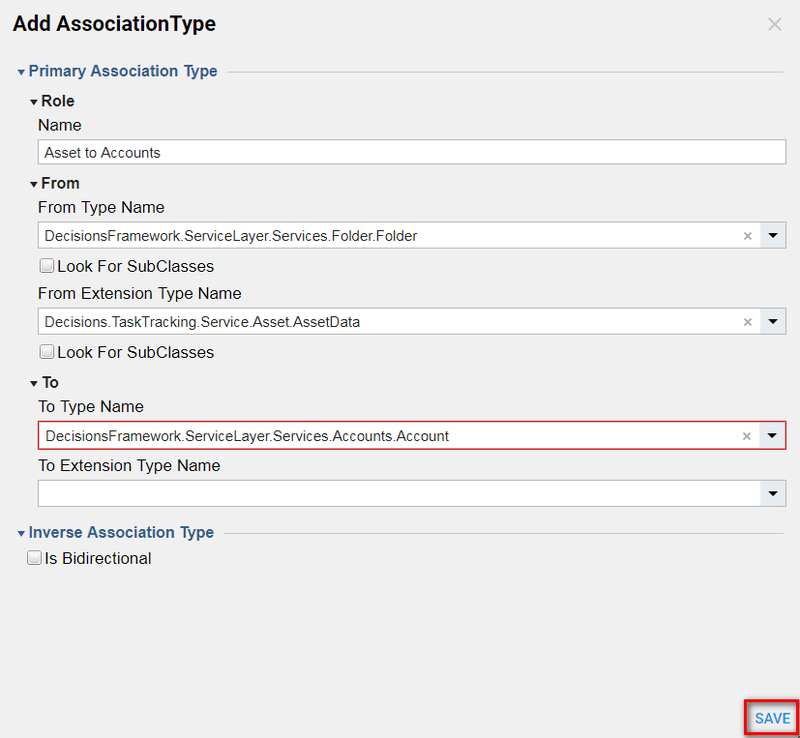 Our example association type will define a relationship between an asset and an account. 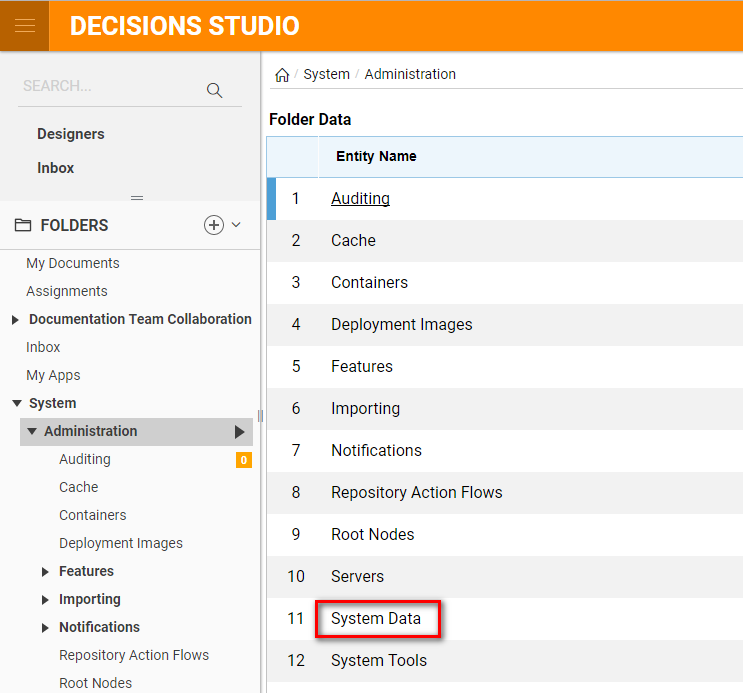 To begin, we will navigate to the System > System Data > Association Types	folder. Click the Add Association Type	button. 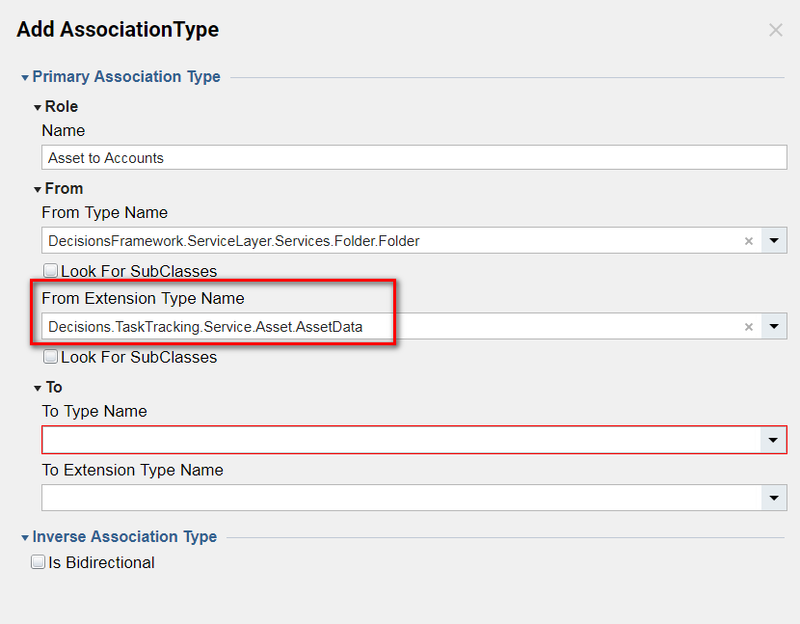 In the resulting Add Association Type window, we will select the Name	field and type "Asset to Accounts." 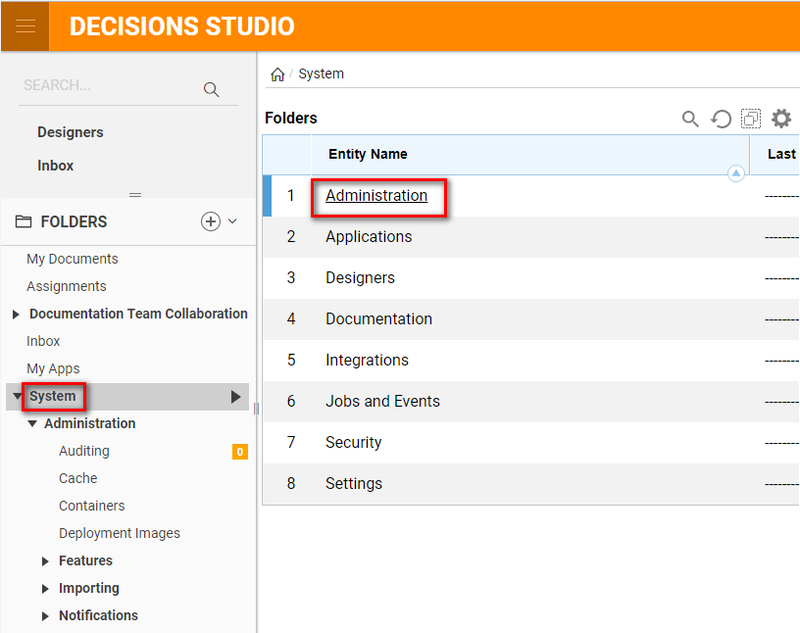 In the From Type Name	dropdown, select the entity responsible for the Folder service, which is DecisionsFramework.ServiceLayer.Services.Folder.Folder	. 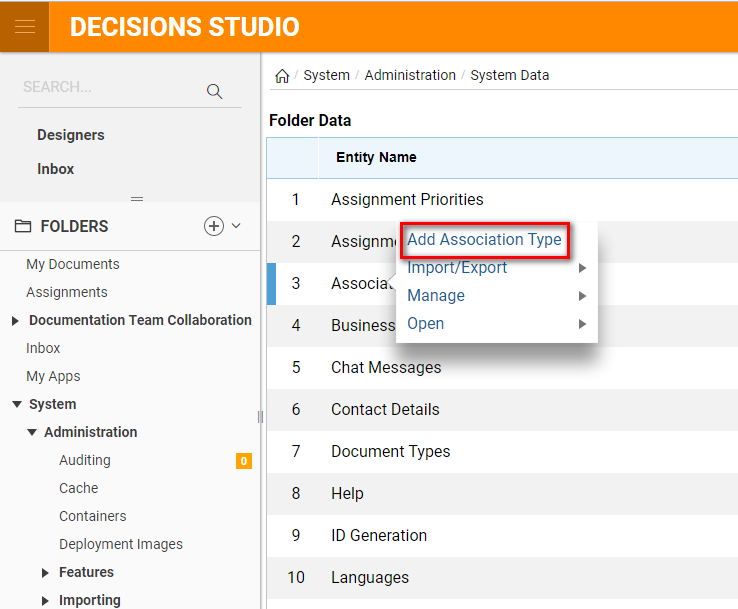 In the From Extension Type Name	dropdown, we will select the entity responsible for assets, which is Decisions.TaskTracking.Service.Asset.AssetData	. 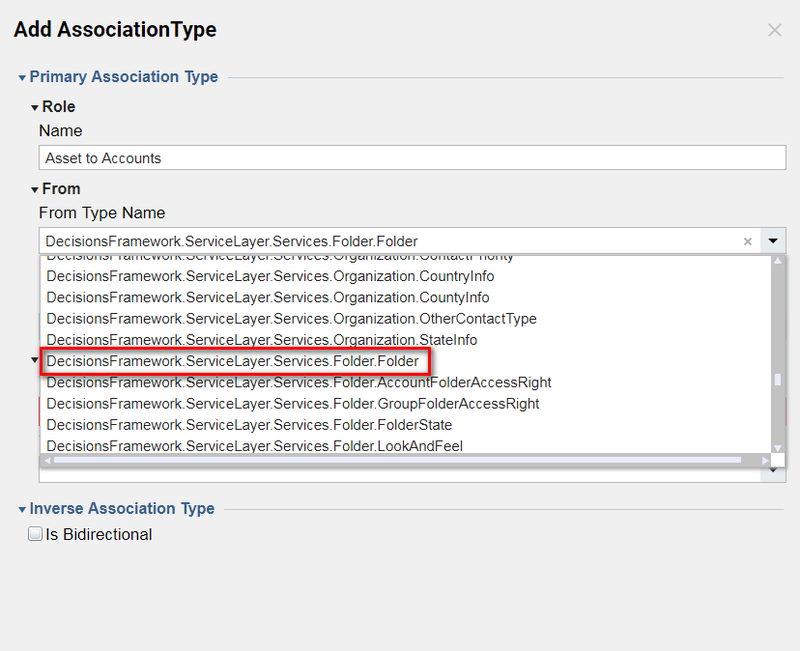 In the To Type Name	dropdown, we will select the entity responsible for accounts, which is DecisionsFramework.ServiceLayer.Services.Accounts.Account	. This completes our new association type, so we will click the OK	button. Back in the Association Types folder, we will see our new association type listed.